The position of OPERATIONS DIRECTOR will provide financial planning, policy planning, event planning, and program and operations review to assure compliance to state and federal rules and regulations, and to exchange information. Assists the Executive Director in the operations of the Maine Arts Commission and reviews, adjusts and recommends approval or disapproval of budget requests and develops budget controls and improvement methods; reviews and evaluates organization, management procedures and management reporting systems to improve efficiency; and oversees and manages events and programs, and other duties as needed. 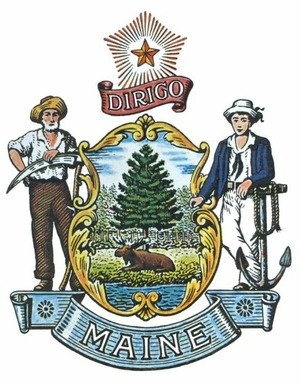 Develops, evaluates and ensures adherence to policies and procedures concerning Maine Arts Commission’s programs and service delivery - including data tracking and collection, reporting, and program review and assessment in order to ensure efficient delivery of quality programs and services and compliance with applicable state and federal laws, regulations, policies, procedures and performance standards. Participates in the review of budget requests and revenue forecasts using knowledge of laws, rules, policies and programs in order to develop a budget proposal consistent with the agency’s goals and objectives and within available resources. Receives and reviews requests, including Financial Orders, for revision to work programs using knowledge of laws, rules, policies and program objectives and available resources in order to recommend approval/disapproval actions to the Executive Director. Reviews, analyzes and maintains records of revenues and expenditures using knowledge of accounting procedures and budgeting, to recommend corrective action when necessary. Reviews and evaluates organizational structure and managerial procedures using knowledge of policies and management techniques in order to maximize efficiency and economy within State Government. Assists with agency human resource management including preparation of documents and record keeping. Manages and coordinates events and programs. Assists with agency cultural planning process. Knowledge of accounting and finance. Knowledge of public sector budgeting and planning including performance management. Knowledge of government human resource structures, policies and norms. Ability to manage programs and events, develop project budgets, grant proposals and administer projects. Ability to recommend policy and program initiatives. Ability to establish and maintain respectful working relationships. Knowledge of state and federal government administrative management. Knowledge of the functions and management of cultural organizations. Knowledge of strategic planning and implementation. Ability to solve problems and make recommendations. Ability to work effectively within and to lead teams. A seven (7) year combination of education and/or experience in business or related field that includes a minimum of two (2) years in an administrative, management, and/or supervisory capacity. Experience must include accounting, human resource management, development of program rules and policies, long and short-range goals and plans, program evaluation, and budget preparation. Please upload a) recent resume, b) cover letter describing your interest and your skills in the context of the Job Duties, and c) copies of post-secondary transcripts. Questions about this posting can be directed to Mindy Hansen at 207-624-7430 or Melinda.Hasen@maine.gov. *The level of the actual value of state paid Health Insurance will be based on the employee’s wage rate and status with regard to the health credit premium program. 11b. If Yes, which type? 13. *Only for candidates who upload a resume: If your resume does not have month/year of employment listed, please list the Company Name, Job Title, and Month and Year You Started and Ended Your Three (3) Most Recent Jobs. This is necessary for assessment of qualifications. 16a. If you are a veteran or Gold Star spouse and wish to take advantage of the veteran's preference, please submit documentation here (DD 214, DD 1300).